Yaowarat is a popular district in Bangkok, it is also known as Chinatown of Bangkok. 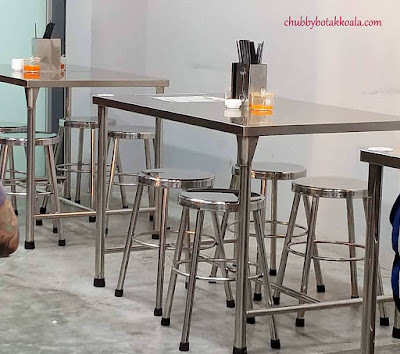 For foodies, this is one of the places you can have your gastronomic experience of Seafood BBQ, Shark Fin Soup, Birds Nest, Authentic Teochew Food and traditional desserts. 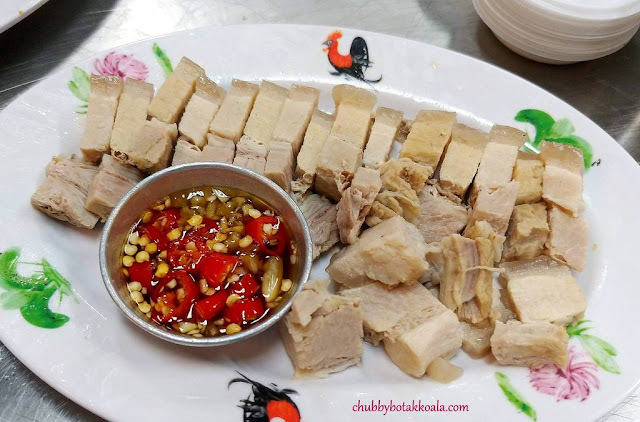 One of the more renowned dishes here is Thai Kway Chap. 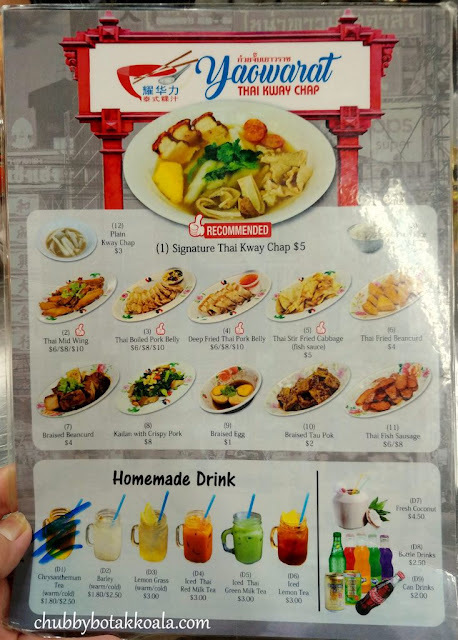 For those, who never tried this dish in Bangkok before, you can try this in Singapore at Yaowarat Thai Kway Chap at Kovan. 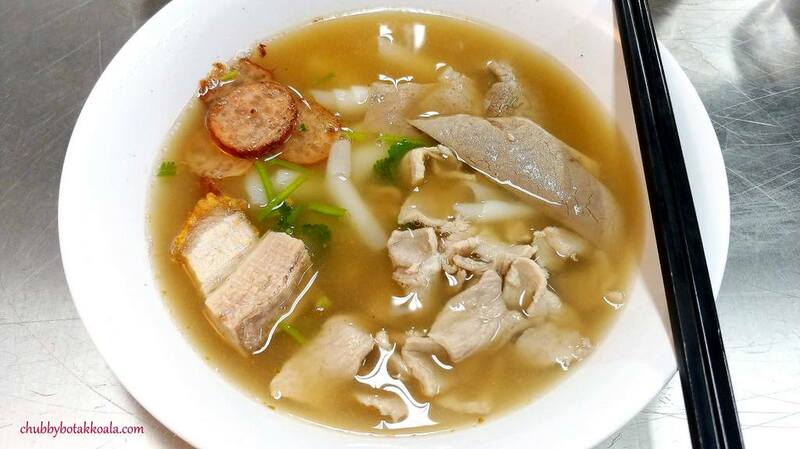 For $5, you can get a bowl of Thai Kway Chap. 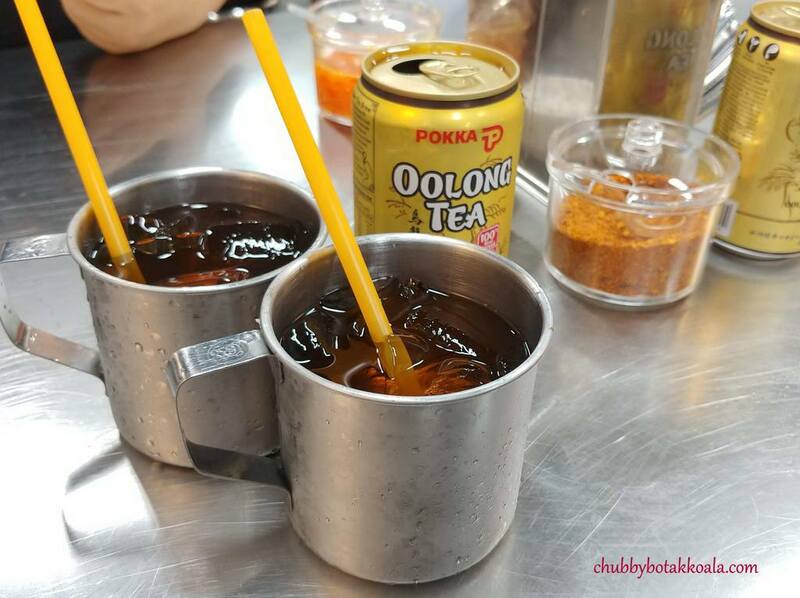 Don’t let the calmness of the slightly cloudy broth fools you, it packs of punch from the pepper infused in it. 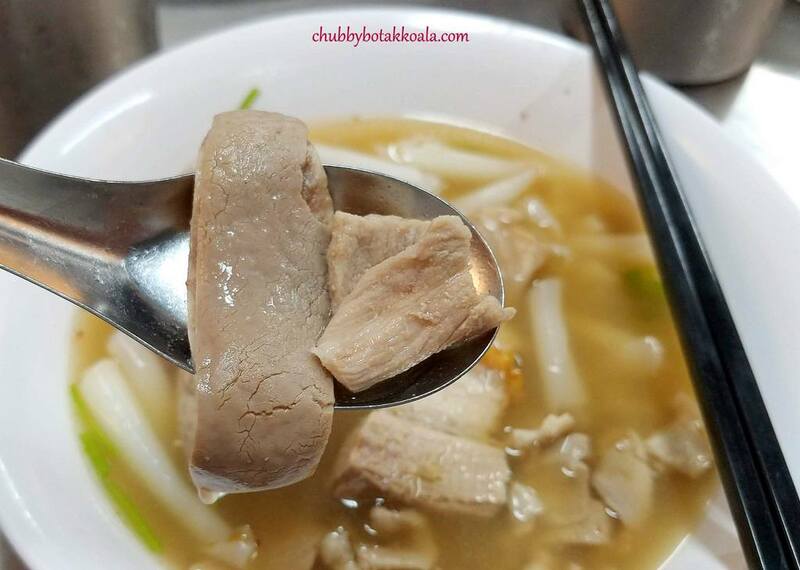 It is comparable to a solid pig stomach soup. 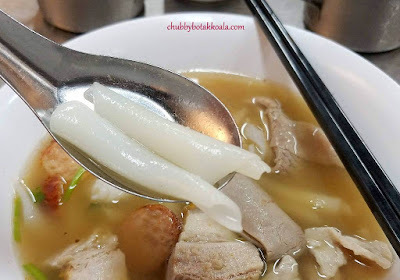 The ingredients include curly and crunchy rice noodle, pig stomach, lean pork meat, fried pork belly and fish sausages. One thing for sure, the portion of the kway chap is here is bigger than those served in Bangkok. If you order takeaway, they will separate the soup and the ingredients, so as to ensure that the rice noodles do not get soggy. For additional dishes, we ordered Deep Fried Thai Pork Belly and Thai Boiled Pork Belly $6 each. 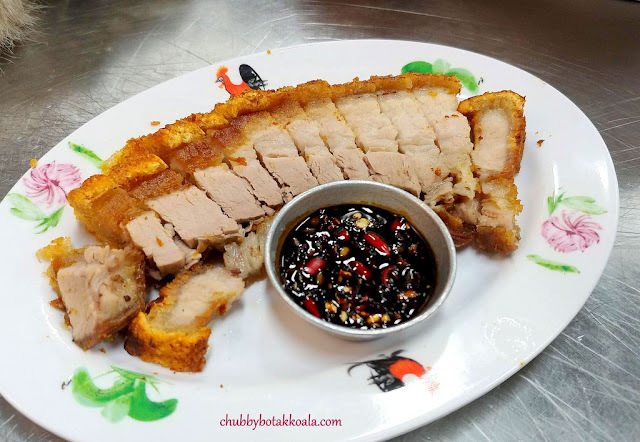 The fried pork belly has a crispy skin followed with juicy meat, accompany cut chilli in sweet soy sauce. 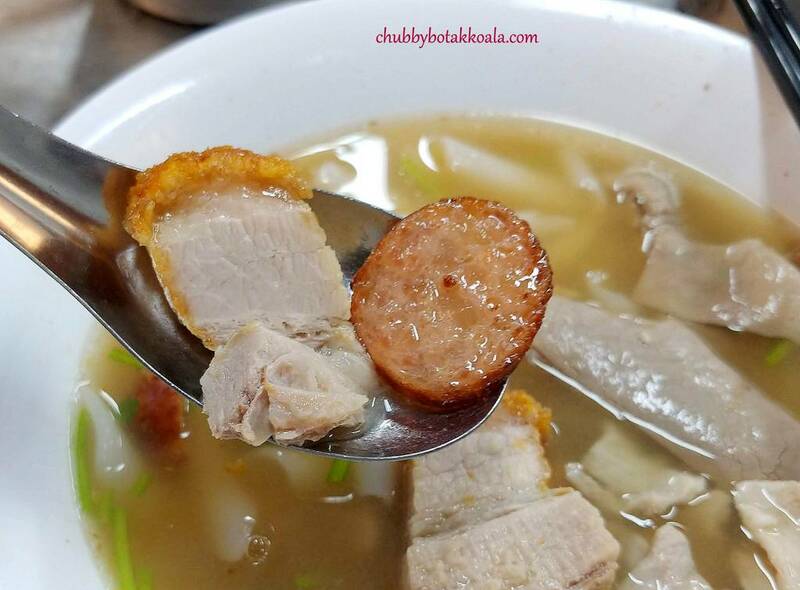 Meanwhile, the boiled pork belly bouncy texture with the meat that melts in your mouth. The dipping sauce is made from cut chilli and fish sauce, that will give the twang to the dish. Not shown in the picture is the fish sausages. 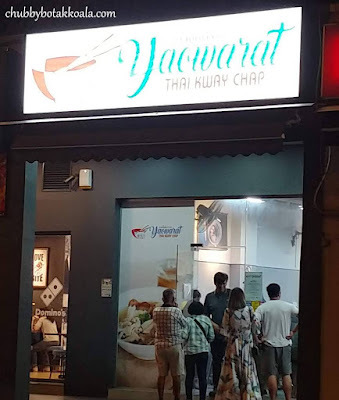 I recommend those dining at Yaowarat to order it as well. 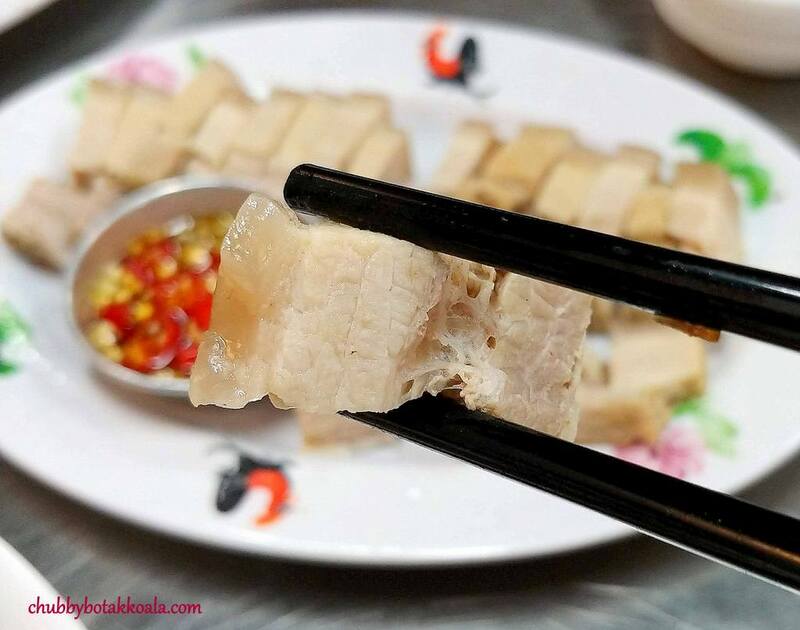 It is crunchy and meaty, taste closer to pork sausage instead of fish sausage. 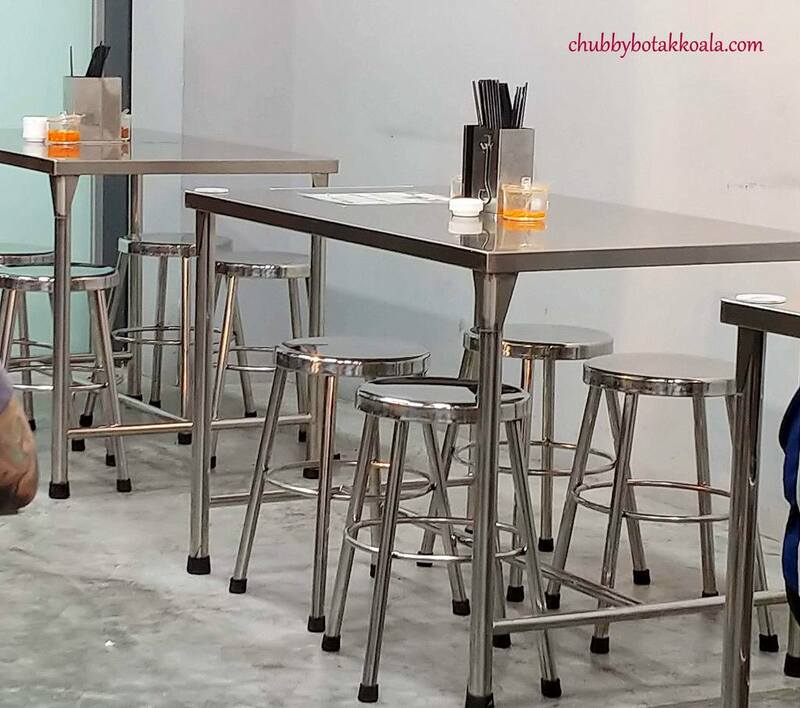 The shop is brightly lit and uses metal tables and chairs, making you feel like you are dining in Bangkok. Service is friendly and efficient. You order and pay at the counter before they prepare the food. Currently, they are open daily until 2AM, you can drop by anytime for your meal, except for breakfast. 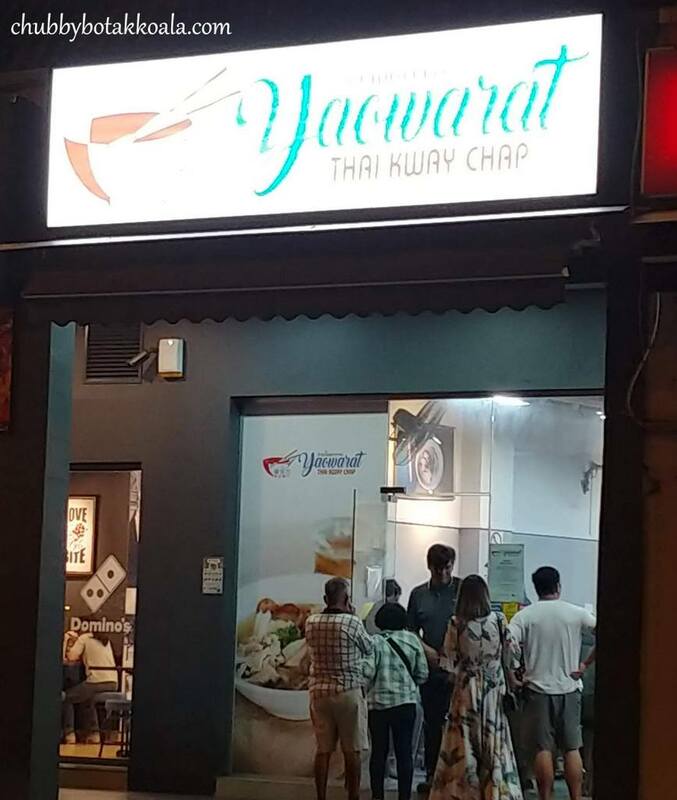 Overall, Yaowarat Thai Kway Chap definitely brings with them the authentic Thai Kway Chap flavours to Singapore. The price is very reasonable and you don’t have to board the plane to try this dish. Cheers!! Budget per Person: $0 - $10, $11 - $25.